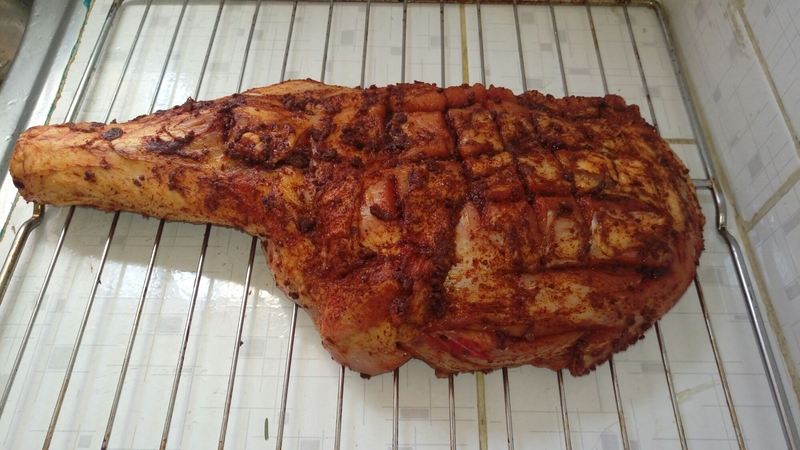 What a better way to spend the weekend than hosting your friends over for a chilled out barbecue,nothing beats pork done low an slow on an open fire as this gives it unique flavour texture and the grill marks we all love to see on our barbecue. However this shouldn’t worry you as you can still achieve the same result in your kitchen oven,with half the hustle of setting up an open fire barbecue. This is a versatile dish good on its own,it however can be pulled and go down well with mashed potatoes & gravy,this also makes for delicious and filling sandwiches and burgers. 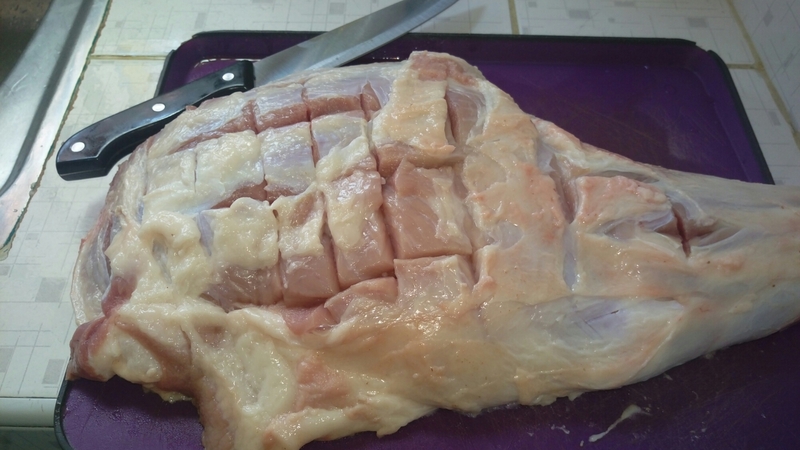 I started off by removing the excess fat on my shoulder,do not over trim your pork as a little fat will help in keeping our shoulder nice and moist in there. 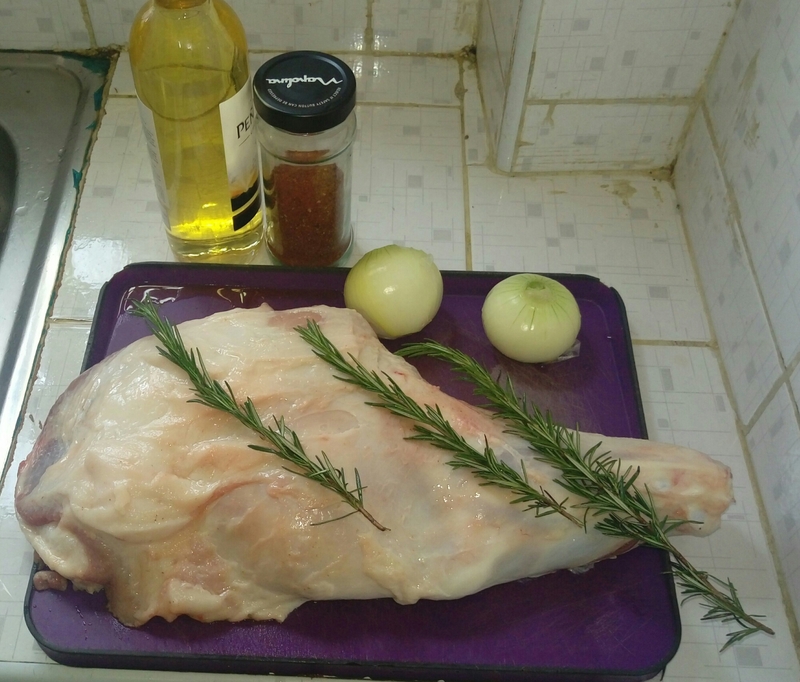 I then proceeded to making cuts on my pork shoulder,this is to ensure that the marinade cuts through the layer of fat and seeps into the flesh down under. 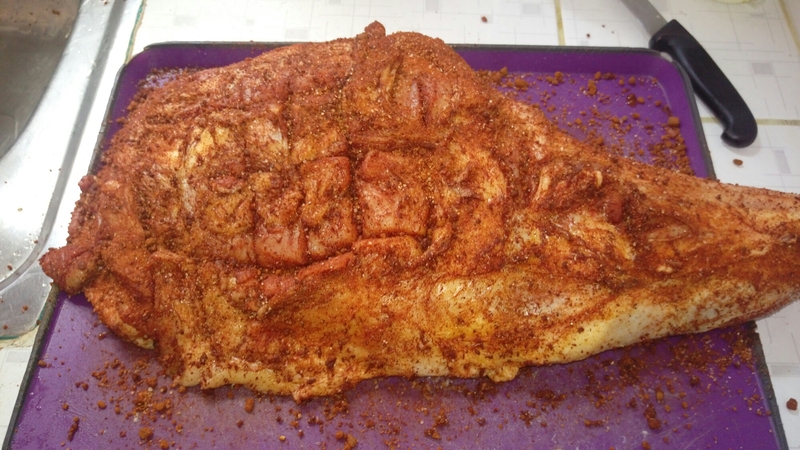 proceed to apply our dry rub generously on our pork shoulder ensuring it penetrates all the slits and cuts. 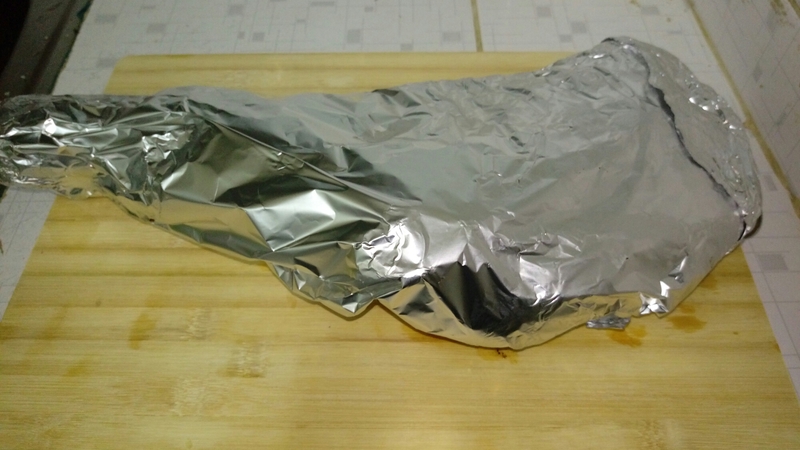 I covered up my pork and had it set into the refrigerator,ideally it should be allowed to sit in there overnight but I didn’t have that luxury,I had mine rest for close to thirty minutes,this is to allow our marinade to be absorbed into the pork. 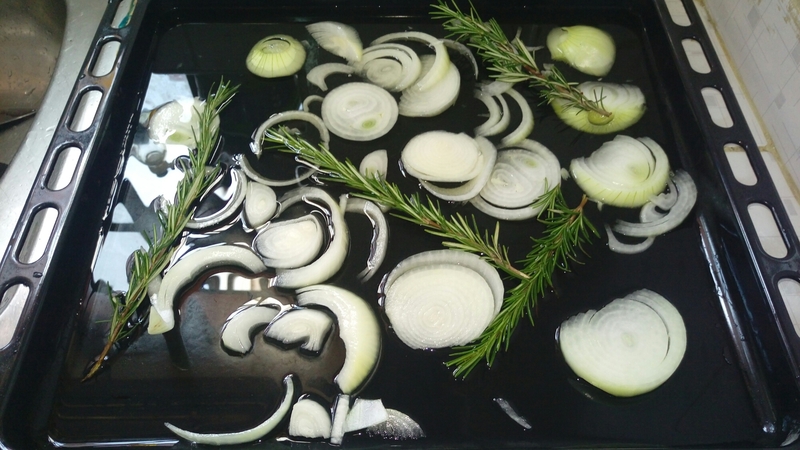 As our pork is sitting,chop up the onions and throw them into a baking dish,add in the rosemary and our wine or water,be generous on the fluid as this shoulder will be sitting in there for quite some time. 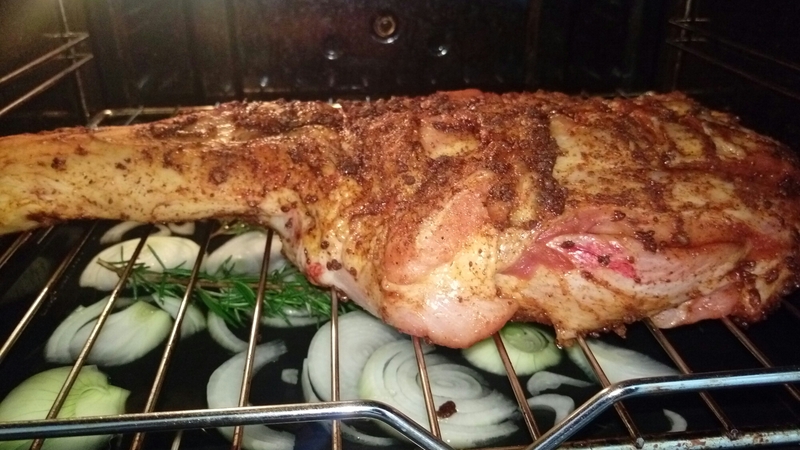 I went ahead and set this into my pre heated oven at about 95℃ with the pork on a rack just directly above it but not in direct contact. Have this cooking for 8 to 12 hours,you can never overcook cook meat being done low and slow,the longer the tender it gets. 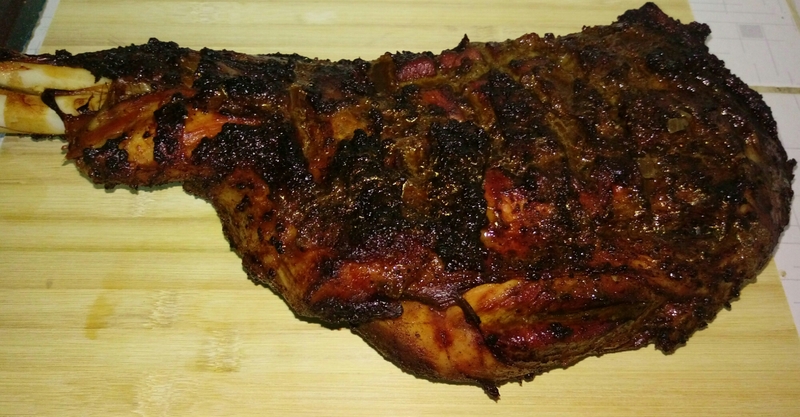 I from time to time basted the pork with its juices dripping on the tray below. And through the miracle of time,our pork shoulder is good to go. Cover up our pork and let it simmer in its own juices for about 30 minutes. You can curve this up and you and your buddies are good to go,I however had mine pulled for I had some sandwiches to make,this went down so well with my bourbon whiskey sauce that I made,it’s recipe will be up soon.